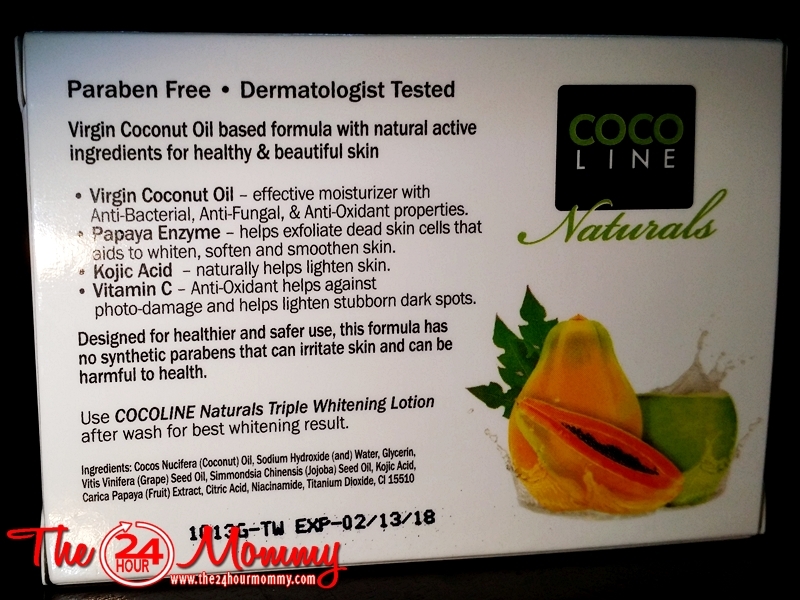 The 24-Hour Mommy: COCOLINE Naturals product review plus a giveaway! 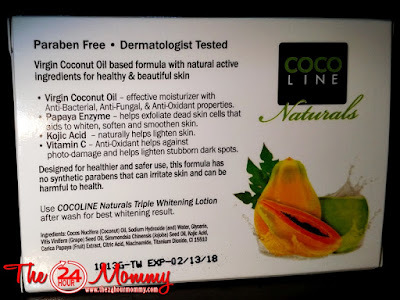 COCOLINE Naturals product review plus a giveaway! More and more people are raving about the benefits of Virgin Coconut Oil (VCO). I, for one, can testify how it helped treat my boy's dandruff problem. I remembered how my own Lola would apply langis (coconut oil) that she extracted herself on my scalp to help thicken my fine hair. VCO can also be taken orally as it can lower blood cholesterol among other benefits. We Filipinos are really lucky that we have an abundance of coconuts and coconut oil here in our country. COCOLINE Naturals knows how powerful VCO is in terms of keeping the skin healthy. Only launched in January 2015, COCOLINE Naturals skincare products have already been recognized by Cosmo Beauty Awards 2015 and National Consumer's Choice Awards 2015. This is why I just couldn't say no when I was invited to try and write about it. 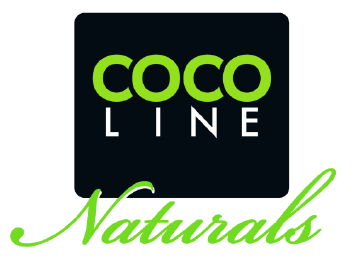 COCOLINE Naturals products are all Virgin Coconut Oil formulations and uses only all-natural products. 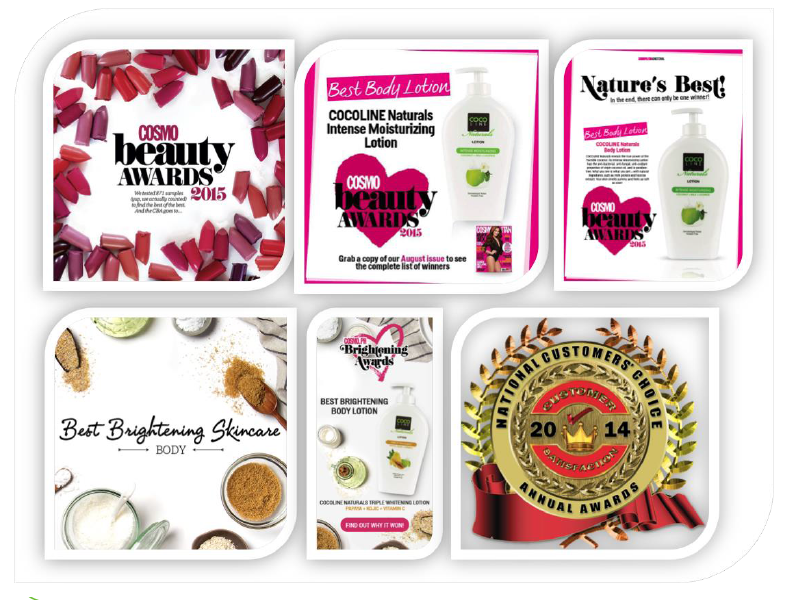 I am also glad to know that their products are all paraben-free. Parabens break down into formaldehyde and, when absorbed by the skin, can cause cancer. COCOLINE Naturals sent me sets of their Intense Moisturizing line and their Triple Whitening line to try out. Each dermatologist-tested product line is available in lotion, body wash, and beauty bar. Lotion 340ml (Php 198), Body Wash 340ml (Php159.75) and Beauty Bar 135g (Php 68). I've been using the lotion and body wash from this line for a few days now and I am really satisfied. I have already written about how dry and burnt my skin has become from our recent trip to sunny Hong Kong and, so far, the body wash and lotion has been kind to my skin. The body wash , unlike others I used, is easy to rinse. 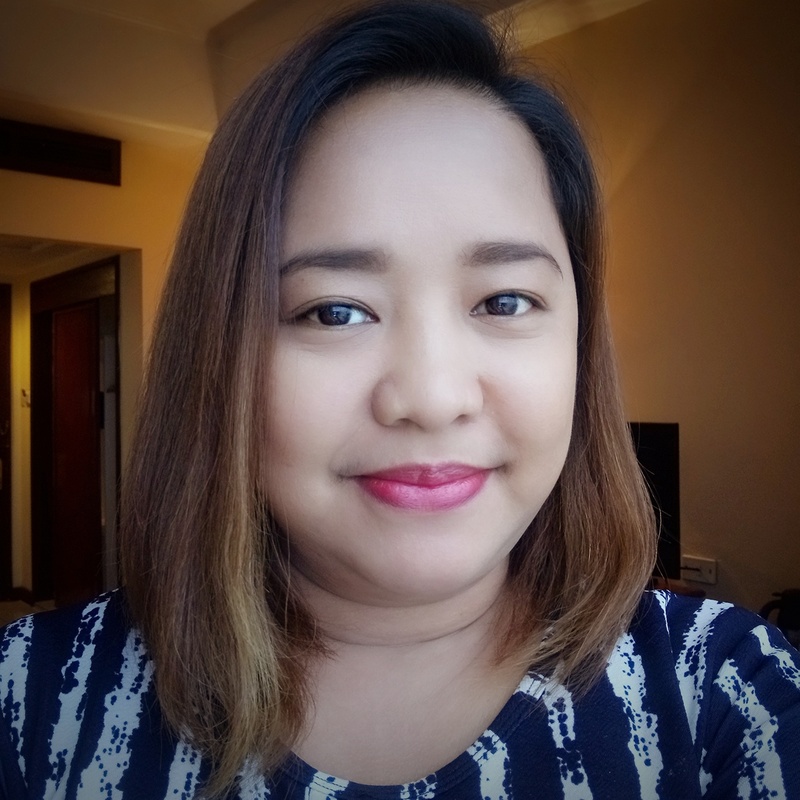 Tipid sa tubig. The lotion, I noticed, gives instant lightening as I spread its light, milky-white formulation on my skin. It's non-greasy, too. The scent of all the products in this line smells fresh and powdery and I only smelled a bit of coconut oil scent. 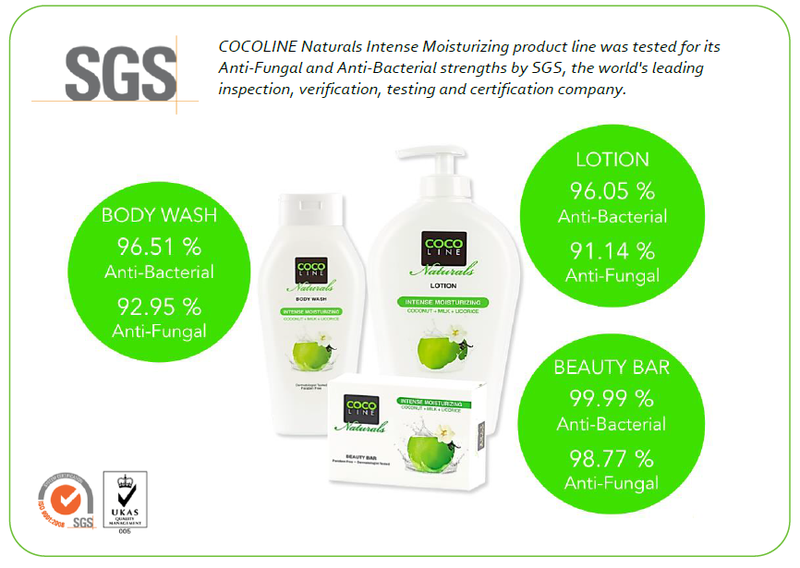 The COCOLINE Naturals Intense Moisturizing line was tested and proven to be anti-bacterial and anti-fungal. I hope it does wonders to my skin asthma. I'll update you once I see improvements. 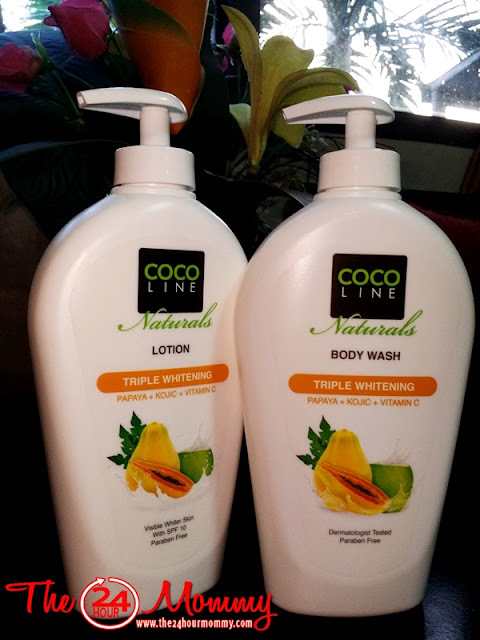 Along with Virgin Coconut Oil, papaya enzyme, Kojic Acid, and Vitamin C are added to the products of this line to not only moisturize skin but also to naturally lighten skin pigmentation and dark spots. I personally liked the scent of the lotion, body wash, and beauty bar in this line more because it smells of sweet melon. This time, I tried the Beauty Bar and, amazingly, it's not drying at all as compared to the other Kojic soaps I used in the past. 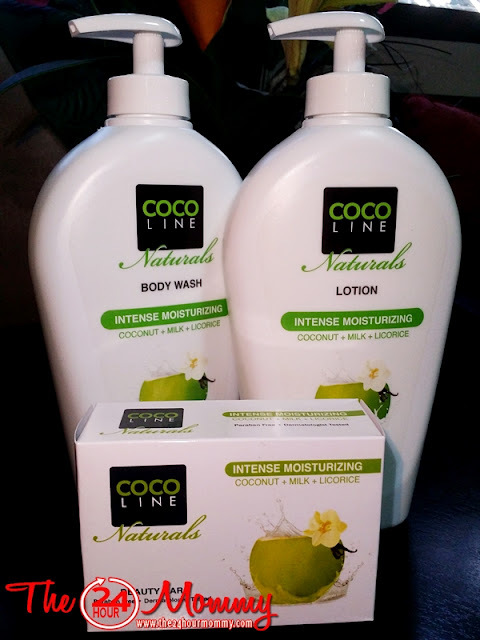 COCOLINE Naturals is so generous to give me an extra set to giveaway. 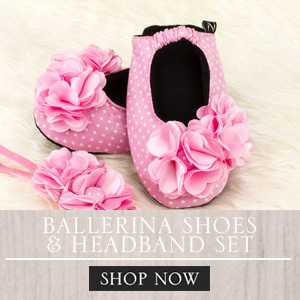 All you have to do is follow the steps in the Rafflecopter widget below. One lucky reader will win one lotion, one body wash, and one beauty bar from each product lines. This giveaway will be open until 11:59 pm of July 30, 2016 and is open to all readers in the Philippines. The more steps you complete, the higher chances of winning the loot! Good luck! That sounds like a great line. I want to try out that lotion for sure. When I first discovered coconut oil I was shocked to find out how beneficial it was. 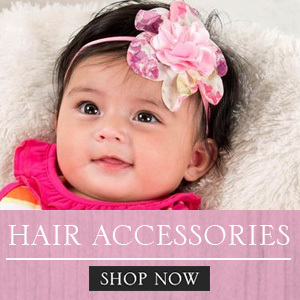 It has so many uses, and these products look amazing. I super love VCO, this one has a nice line of products. I want to try body wash. It's so nice that people are finally learning the benefits of coconut oil. It's really amazing for the skin. I'm glad you found a product that works for you, sounds awesome! Oh these sound great. I'm glad they're safe and paraben free. I'd try their Intense Moisturizing ones! Oh, sounds like these are nice products for the skin. I would like to buy some! Those look like some awesome products. I'm always looking out for new products like these. Great giveaway too! 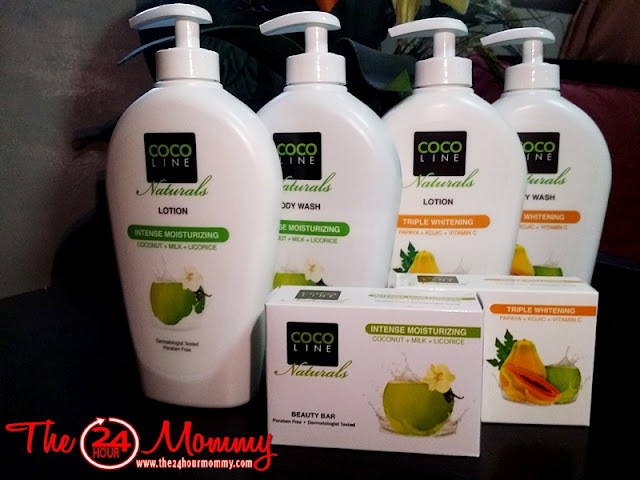 I love coconut scents! This looks like an awesome line of products. Not in the Philippines now although I grew up there. This sounds like a product I would like to try too! This looks like it smells amazing. My daughter suffers from eczema, so I bet this would be perfect for her skin. Sounds like a great product! I also remember my lola putting coconut oil on my scalp...I didn't ask why..LOL! Want one! Where I could buy?